Construction Engineering was founded in 1963 at Iowa State University. At the time, the university had an architectural engineering program, which trained students in both design and engineering of structures. Bill Klinger, owner of Klinger Construction at the time, approached the university with a rough outline of a curriculum which would provide graduates with skills valuable to employers in the construction industry. Construction engineering is a professional discipline of civil engineering that deals with the planning, construction, and management of infrastructures such as highways, bridges, airports, railroads, buildings, dams, and utilities. Construction engineering involves planning and execution of the designs from transportation, site development, hydraulic, environmental, structural and geotechnical engineers. A construction engineer supervises field work in a major infrastructure project. Construction Engineers are unique such that they are a cross between civil engineers and construction managers. Construction engineers learn the designing aspect much like civil engineers and construction site management functions much like construction managers. Construction Engineer is responsible for directing and planning the construction project and in conducting inspections, engaging in investigation, overseeing the project, analyzing results and sees that the entire construction process takes place efficiently. Construction engineers may select the materials used in the construction process, manage construction sites and supervise the implementation of mechanisms, such as hydraulic systems. Construction engineers may alternate between an office and outdoor work environments. These professionals may work with contractors, construction workers and urban designers during a project. They may also be responsible for reviewing project finances and keeping schedules on time. Manage and plan a construction project. Design the hydraulic systems and project structures. 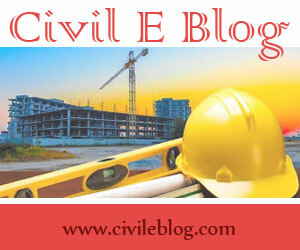 Survey a construction site, give a description about how would like to complete the project and its consequences. Liaise with federal entities, environmental agencies and local authorities on the implications of the construction. Ensure the site sanitation and cleanliness. Juniors are helped with appropriate information related to construction. 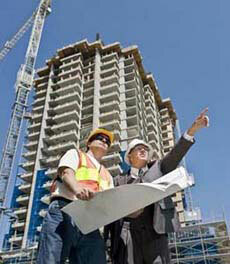 Address the concerns of the workers and advise them on the subject of the construction process. Solve the construction problems efficiently. Inform their employer about the progress in construction. Conduct a study on the site of construction. Provide quality control and quality assurance to make sure that the purposes of the project are achieved. Make sure that the entire safety rules related to construction work are observed. Obtain the materials required for construction and check them. A typical construction engineering curriculum is a mixture of engineering mechanics, engineering design, construction management and general science and mathematics. This usually leads to a Bachelor of Science degree. The B.S. degree along with some design or construction experience is sufficient for most entry level positions. Graduate schools may be an option for those who want to go further in depth of the construction and engineering subjects taught at the undergraduate level. In most cases construction engineering graduates look to either civil engineering, engineering management, or business administration as a possible graduate degree. For authority to approve any final designs of public projects (or any other projects), a construction engineer must have a professional engineers (P.E.) license. In USA, the average entry level salary (0-2 yrs experience) for Construction engineer is $55,200. The employee may require the necessary bachelor's degree in area of specialty. Main job is to monitor activities at construction sites, work to ensure construction progresses as scheduled and contract specifications are adhered to, inspect construction site daily and work with contractors to schedule deliveries. They relies on instructions and pre-established guidelines to perform the functions of the job. Primary job functions do not typically require exercising independent judgment and should work under immediate supervision. With 2-4yrs of experience in this field, the expected average salary is $62,000. He/She may relies on limited experience and judgment to plan and accomplish goals and work under general supervision. A certain degree of creativity and latitude is required. For experience of 4-6yrs, the average salary is $73,300. The employee may have to lead and direct the work of others. A wide degree of creativity and latitude is expected. For eperience of 7-9yrs, the average salary is $96,100.